Do you want to be a millionaire? Chances are good that you wouldn’t mind having a life of a millionaire. However, there’s a lot more to being a millionaire than you might imagine. You see, there’s a lot to be said about actually getting down to business and building wealth for yourself. However, not every millionaire believes in fiscal responsibility, and it ends up catching up with them. You’ve probably seen numerous reports of millionaires that actually have bad credit. Now, you might think that it would be impossible — you have money, so why wouldn’t you have good credit? Well, these millionaires are essentially cash customers. You don’t have to live on credit if you don’t want to — but you’re going to have to try to buy everything with cash, which means that you have less money for the things that really matter to you in life. That’s a hard thing to deal with when you really think about it. You might find that you really need to start looking at how successful millionaires stay successful and have good credit terms. When you get right down to it, the truth is that true millionaires actually make sure that they have good credit. There are so many ways to leverage other people’s money for your own gains, which in turn makes you more money. We’re not saying to go out and take out a bunch of loans at all — that’s going to cause you further problems. What you need to do is look at your finances right now ñ instead of running form them. Millionaires know that knowledge of their finances is really where the power lies. Even if you have a financial expert someday telling you all of the right moves to make, you still want to make sure that you know what’s going on. Many fortunes have been lost simply because the person in question didn’t want to know anything. They just wanted their accountant to handle everything, and the accountant was less than honest. 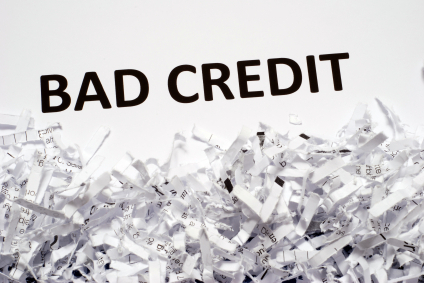 Bad credit can affect more than you think. When you get out of debt, you might be tempted to just be another cash only customer. It’s important that you focus on receiving offers that are going to help you get where you actually want to be. These offers might not be the best at first when you’re getting out of debt. A lot of people bristle at the high interest rates that secured credit cards actually offer. Yet you have to make sure that you’re willing to stick out the tough times in order to see some good. Believe it or not, you won’t be stuck in credit purgatory forever. If you take the time to get smart about your spending, you’ll be doing better than a lot of people will — even those on Millionaire’s Row!